Luxury Daily is inviting nominations for the most prestigious luxury awards handed out annually: Luxury Marketer of the Year, Luxury Retailer of the Year, Luxury Agency of the Year, Luxury Publisher of the Year and Luxury Researcher of the Year. The 2017 honors will acknowledge outstanding consumer-focused strategic, tactical and creative thinking by luxury brands, luxury retailers, luxury-focused agencies, luxury publishers and luxury-oriented researchers for work done in calendar year 2017. The winners will be announced in December. "What stands out this year from luxury marketers' efforts is the first-innings push to meld store with digital while maintaining the aura of exclusivity," said Mickey Alam Khan, editor in chief of Luxury Daily, New York. "Some brands and retailers have seen early success by speaking the language of evolving luxury consumers, while others are hesitant to step up to boldness." 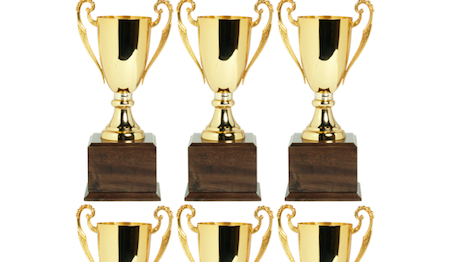 This year’s Luxury Marketer of the Year will have a tough act to follow. Gucci was 2016 Luxury Marketer of the Year. Giorgio Armani was 2015 Luxury Marketer of the Year and Louis Vuitton was 2014's winner. Chanel was 2013 Luxury Marketer of the Year, Cartier was the 2012 winner and Burberry the year before that. Net-A-Porter and subsidiary Mr Porter shared honors as 2016 Luxury Retailer of the Year. Neiman Marcus was 2015 Retailer of the Year and Selfridges was 2014's winner. Harrods was named 2013's Luxury Retailer of the Year. Barneys New York was 2012 Luxury Retailer of the Year and Bergdorf Goodman the 2011 winner. Nominations for Luxury Marketer of the Year require the following: a 500-word write-up in a Word document making the case for why the luxury brand’s advertising, marketing and media efforts for 2017 made it a candidate for the award. The nomination document should include the brand’s strategic thinking for the year, tactics and campaigns deployed, execution and, if possible, the sharing of any results. The use of multichannel marketing is a plus. Please include the chief marketing officer’s name and email and phone details for the executive or his or her PR person. The document should also have two quotes from the CMO, one on what drove marketing strategy in 2017 and, two, what challenge was the brand’s marketing meant to address in 2017. Five high-res color jpegs (200dpi and up) and links to any videos showcasing the luxury brand’s best marketing for the year should be attached along with the Word document. Previous years’ winners are eligible for the award. Nominations for Luxury Retailer of the Year require the following: a 500-word write-up in a Word document making the case for why the luxury retailer’s advertising, marketing, media and retail efforts for 2017 made it a candidate for the award. The nomination document should include the retailer’s strategic thinking for the year, tactics and campaigns deployed, execution and, if possible, the sharing of any results. The use of multichannel marketing and retailing is a plus. Please include the chief marketing officer’s name and email and phone details for the executive or his or her PR person. The document should also have two quotes from the CMO, one on what drove marketing and retail strategy in 2017 and, two, what challenge was the brand’s marketing and retailing efforts meant to address in 2017. Five high-res color jpegs (200dpi) and links to any videos showcasing the luxury retailer’s best marketing and retail outreach for the year should be attached along with the Word document. Only companies in the primary business of luxury retail are eligible for this award. Previous years’ winners can enter for the award. Nominations for Luxury Agency of the Year require the following: a 500-word write-up in a Word document making the case for why the luxury-focused ad agency’s advertising, marketing and media services for high-end luxury clients made it a candidate for the award. The nomination document should include a minimum three examples of successful advertising and marketing efforts for luxury clients, reflecting strategic thinking for the year, tactics and campaigns deployed, execution and, if possible, the sharing of any results. The use of multichannel marketing and retailing is a plus. Please include the agency CEO’s name, email and phone details for the executive or his or her PR person. The document should also have two quotes from the CEO, one on what drove the agency’s marketing and retail strategy for the cited luxury clients in 2017 and, two, what challenge these advertising and marketing efforts meant to address in 2017. Six high-res color jpegs (200dpi) and links to any videos showcasing the luxury-focused agency’s best marketing and retail outreach for the year should be attached along with the Word document. Previous years’ winners are eligible for this award. Multichannel marketing agencies as well as digital-focused agencies are eligible to enter, but their submitted work has to be for high-end luxury clients. Nominations for Luxury Publisher of the Year require the following: a 500-word write-up in a Word document making the case for why the luxury media brand’s focus on luxury advertising and marketing for 2017 made it a candidate for the award. The nomination document should include a minimum six examples of successful advertising and marketing campaigns for luxury brands and retailers, reflecting strategic and creative thinking for the year, tactics deployed, execution in media and, if possible, the sharing of any results. The use of multichannel advertising and marketing across print, online and mobile media is a plus. Please include the publisher/chief revenue officer’s name, email and phone details for the executive or his or her PR person. The document should also have three quotes from the publisher, one on what drove the media house’s advertising and marketing strategy for the cited luxury brand and retailer clients in 2017; two, what challenge these advertising and marketing efforts meant to address in 2017; and, finally, how the media brand stayed true to its luxury publishing roots versus competition. Six high-res color jpegs (200dpi) of ads and links to any videos showcasing the luxury-focused publisher’s best ads for the year should be attached along with the Word document. Previous years’ winners are eligible for this award. Magazine and newspaper publishers are eligible to enter, as are digital-only media and multichannel publishers, the overall requirement being that they have to be entirely luxury-focused. Nominations for Luxury Researcher of the Year require the following: a 500-word write-up in a Word document making the case for why the market researcher’s luxury research for 2017 made it a candidate for the award. The nomination document should include the researcher’s strategic thinking for the year, with elaboration on the research undertaken to serve luxury marketers in their understanding of market, competitor and consumer behavior. For forward-looking research, proof of the forecasts’ vindication is welcome. Please include the CEO’s name and email and phone details for the executive or his or her PR person. The document should also have two quotes from the CEO on what made the 2017 research to invaluable to luxury clients versus competitors’ studies and, two, how did the research help shape client or market decisions in 2017. Links or PDFs to five pieces of luxury research for 2017 should be attached with the Word document. Previous years’ winners are eligible for the award. Researchers focused on multichannel or digital marketing and media are also eligible to enter. All emails with the 500-word nominating document, high-res color jpegs of creative executions or research PDFs or links to them should be send to Luxury Daily at news@napean.com. The Luxury Daily editorial team will judge the submissions along with its own nominations from campaigns and marketing, retail and research work covered in the publication this year. Entries will be judged purely on merit with the focus on outstanding strategy, tactics, creative, execution and results, if disclosed or known. All nominations should be in by 5 p.m. ET on Friday, Dec. 8.